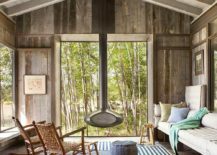 The exit of summer is eminent, and while fall brings with it a wide array of energizing new hues and a lineup of festivities that we adore, some of us still miss the warmth of the summer months. 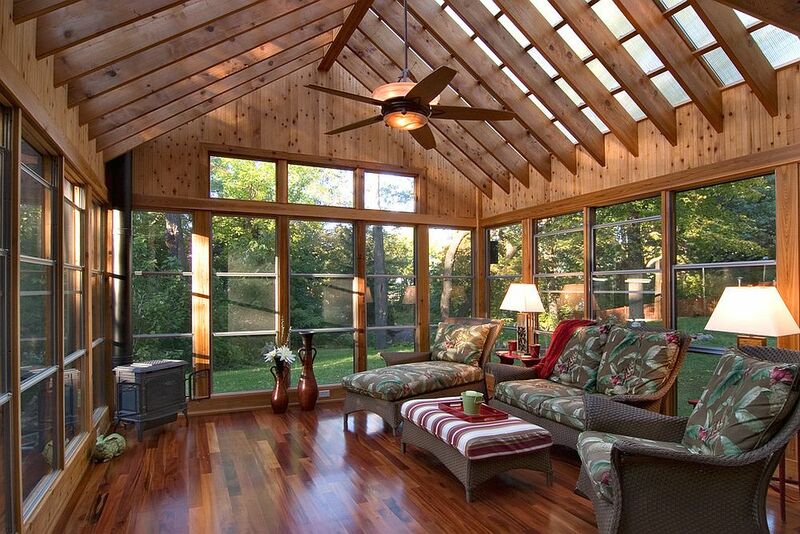 No matter where you live, a sunroom can partly compensate for this loss, as it brings freshness, cheerful allure and elegant warmth into your home all year long! 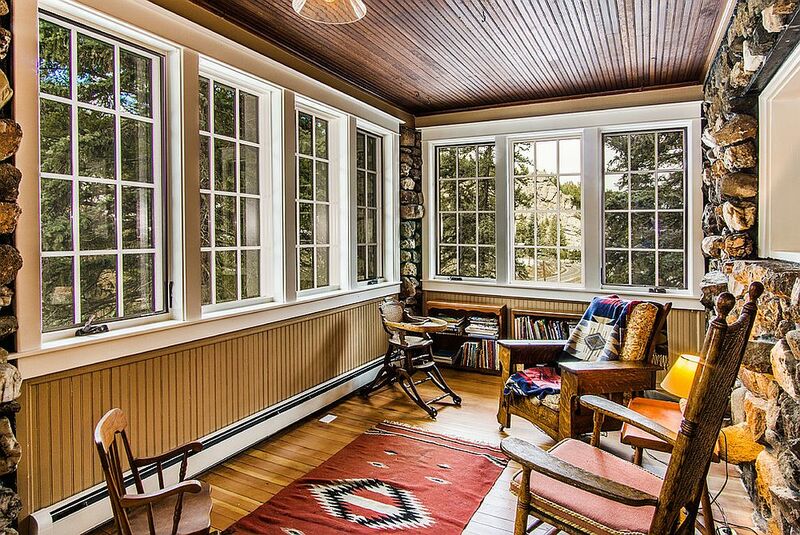 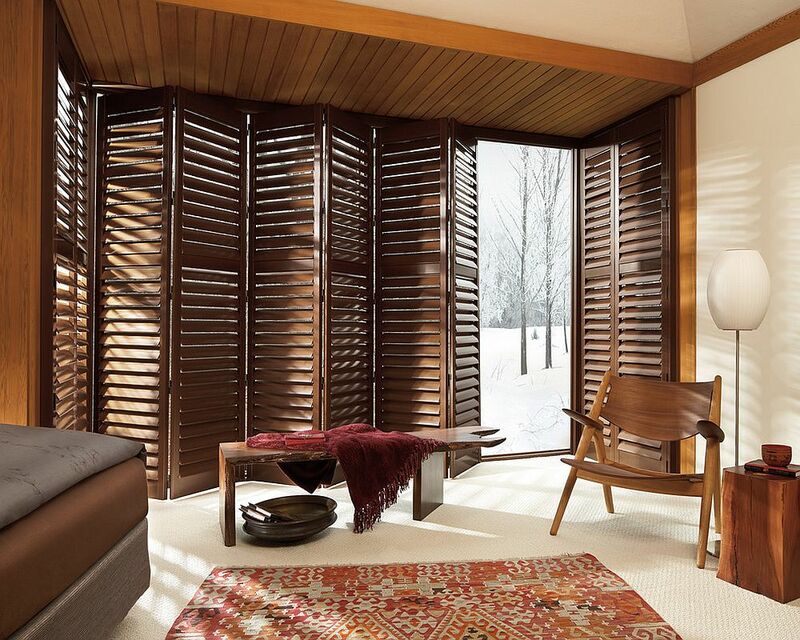 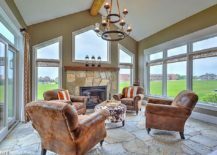 From increasing the passive heating credentials of your home and keeping it warm in the winter months to providing a sheltered window that lets you enjoy the ever-changing sights and sounds outside; sunrooms offer a wide array of benefits. 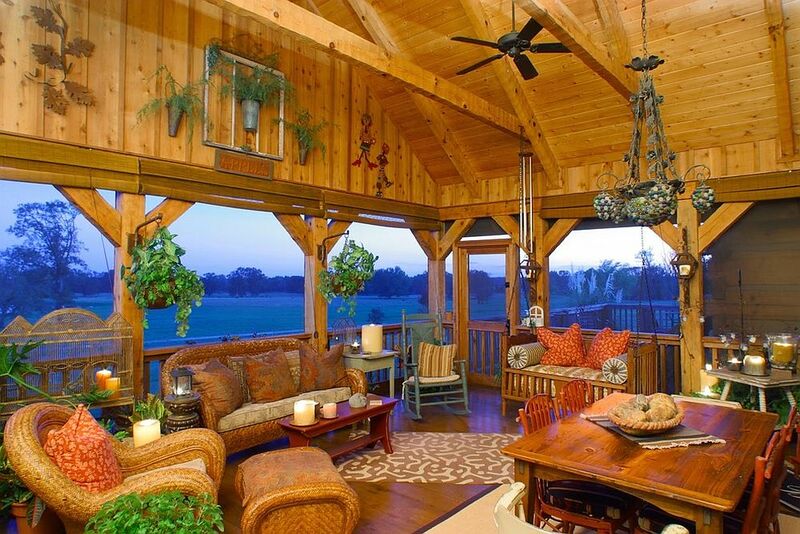 Most experts suggest a ‘natural perspective’ while planning for and decorating a sunroom, and few styles allow you to do so like rustic! 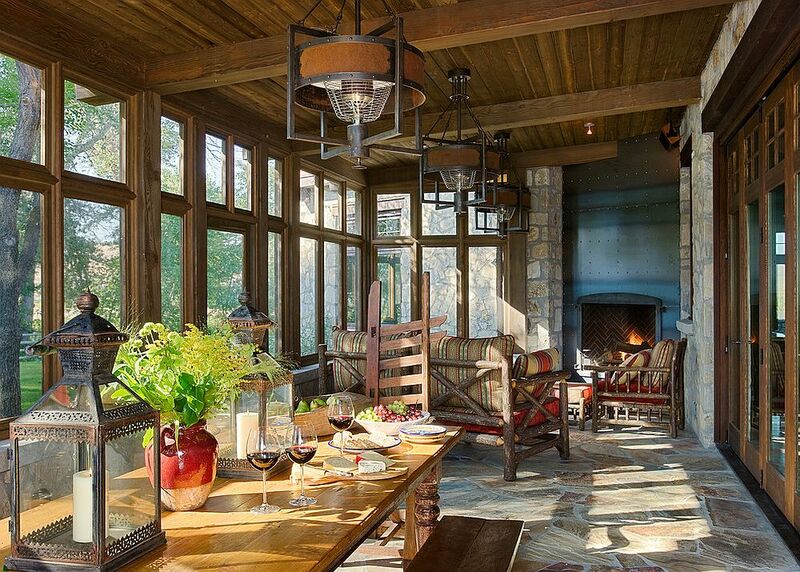 A gorgeous rustic sunroom is filled with different natural materials and textures and takes you back to a simpler world that shuns the unnecessary excesses of modern design. 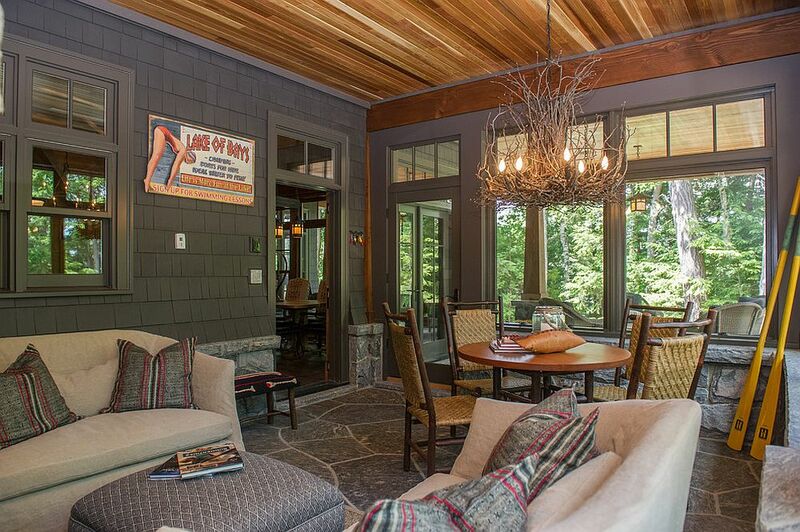 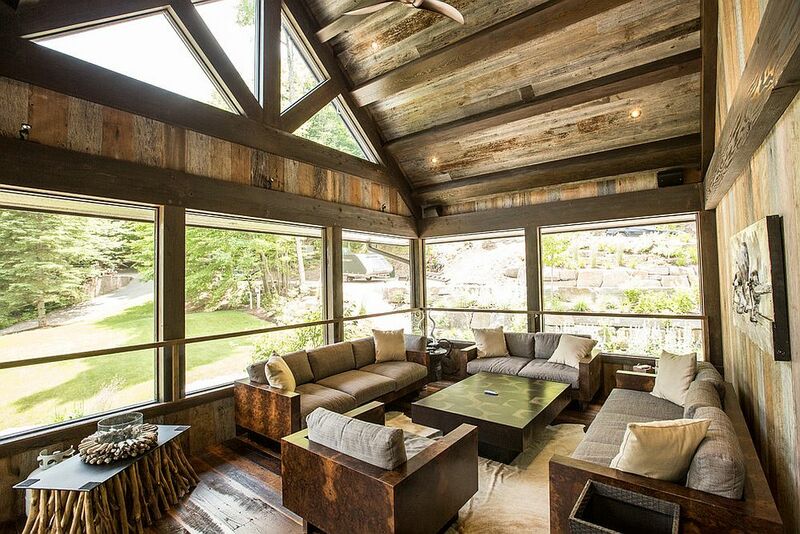 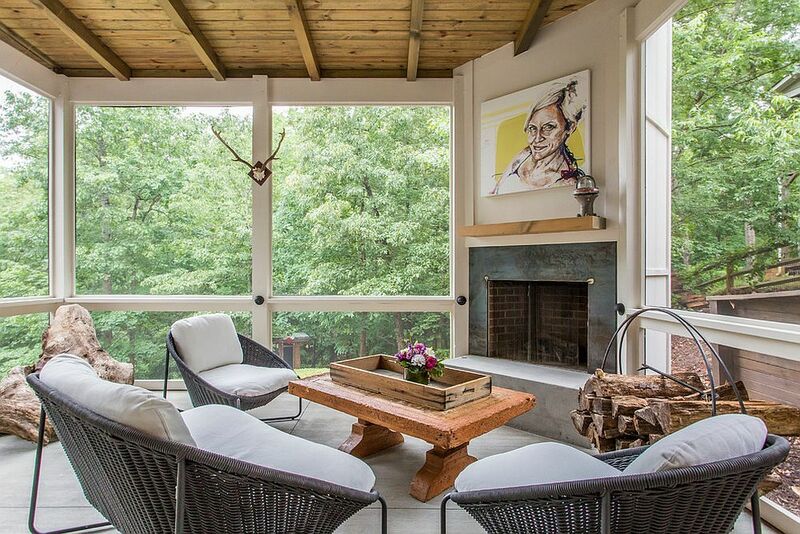 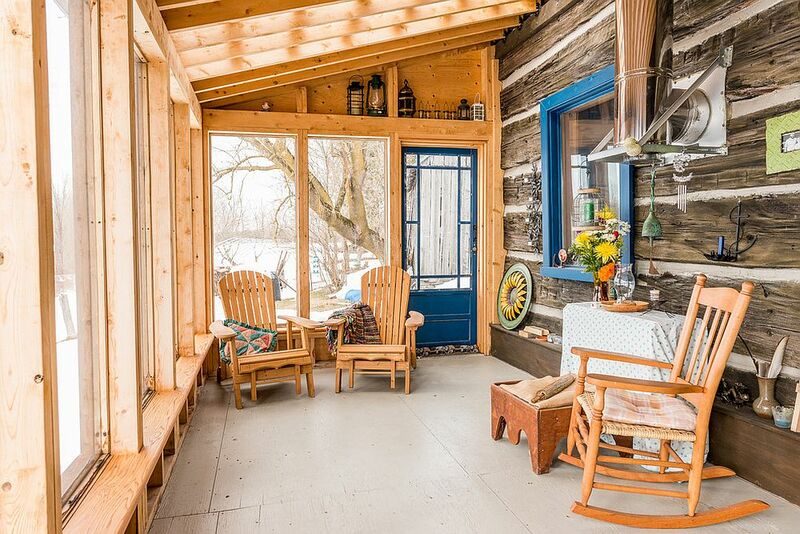 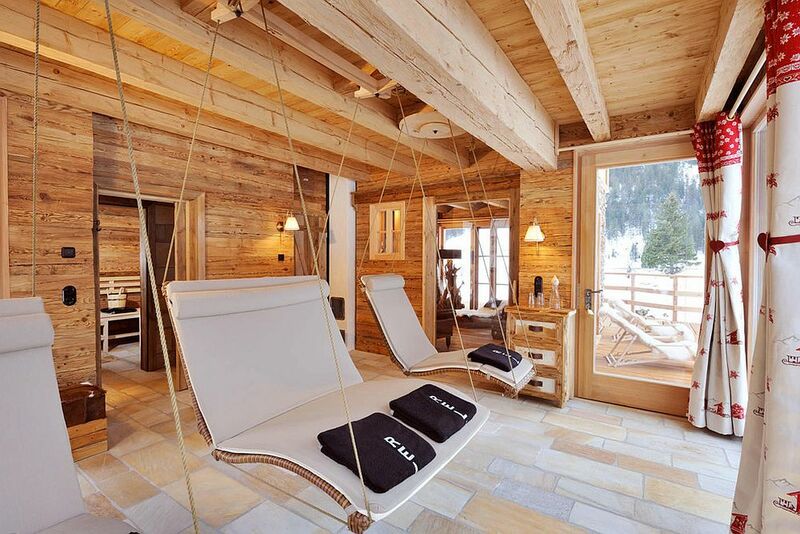 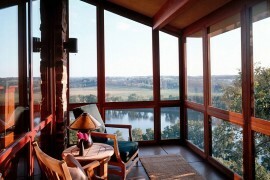 Since ‘connecting with nature’ is high on most people’s wishlist while building a sunroom, a rustic sunroom never fails! 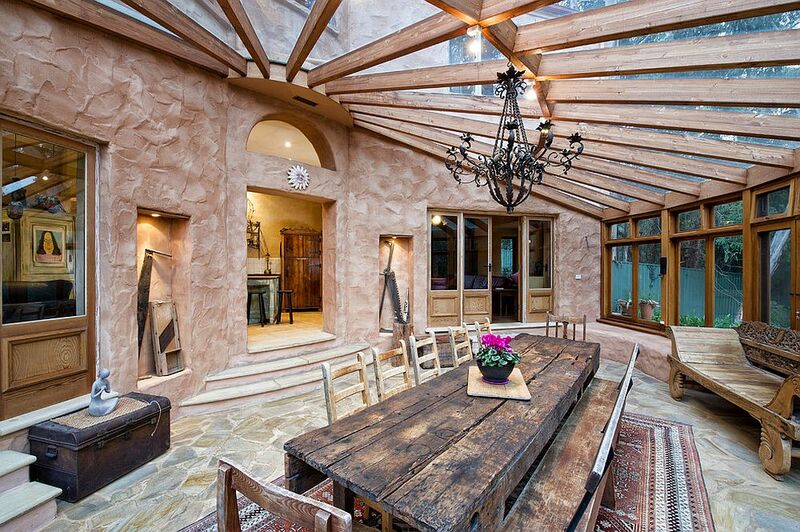 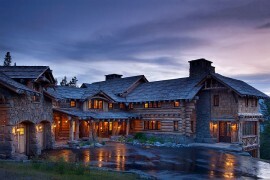 If there is one material that epitomizes rustic style, it is stone. 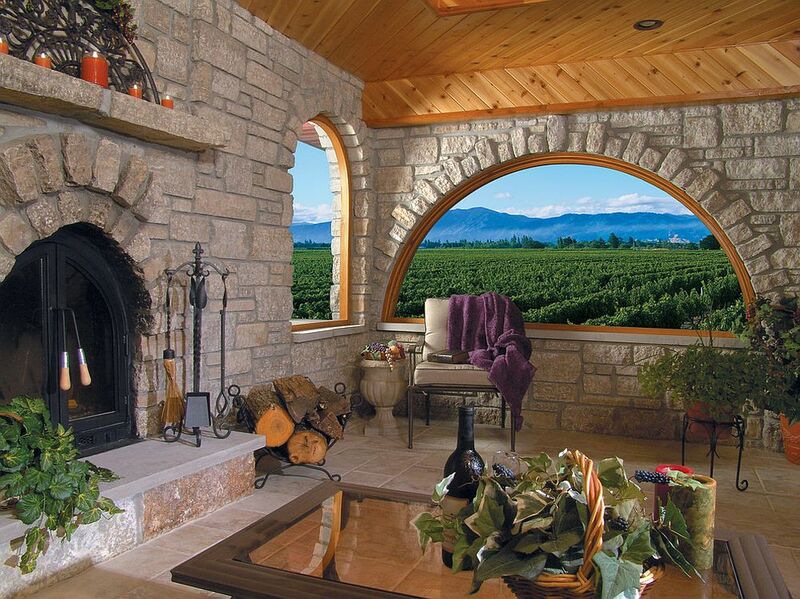 Beautiful stone walls lend a sense of authenticity to rustic interiors and bring in that old world charm. 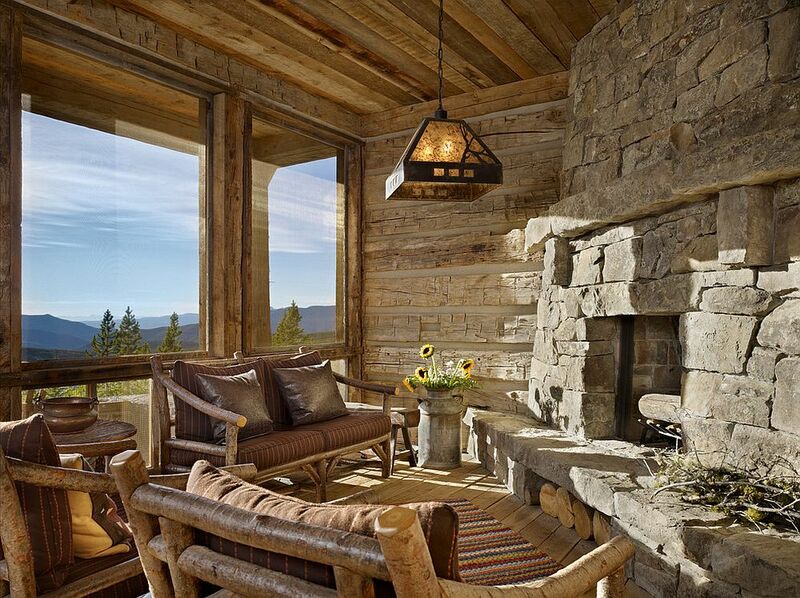 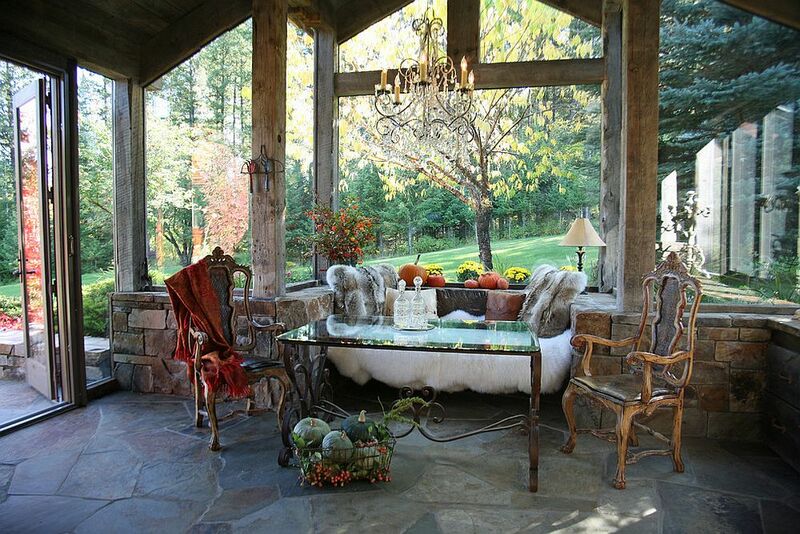 Rustic sunrooms are no different in this regard, and even a small stone architectural feature or accent wall can make big difference to the entire setting. 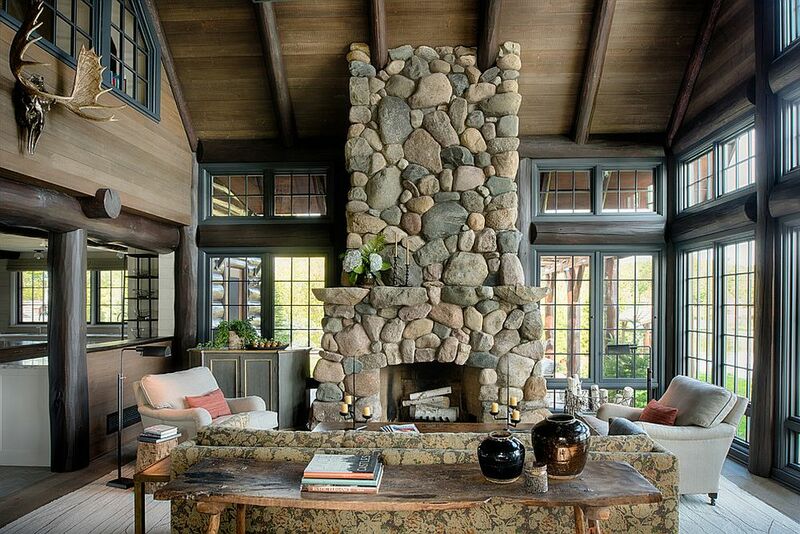 Since fireplaces are increasingly becoming a common feature in sunrooms, a custom stone fireplace is definitely a great way to bring in stone without going overboard. 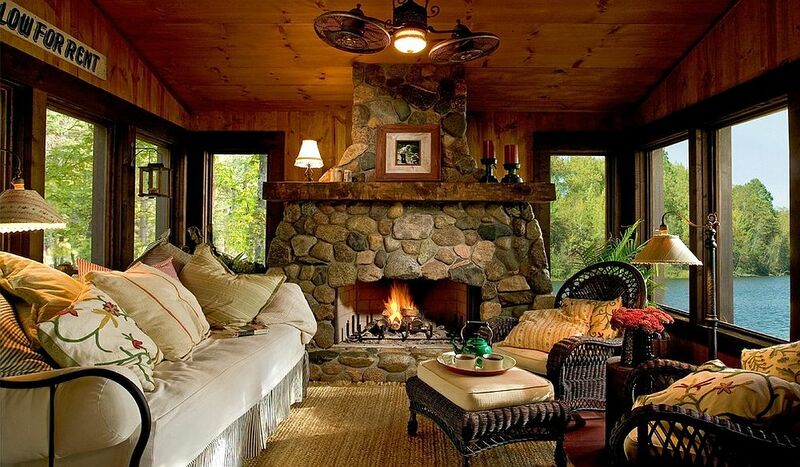 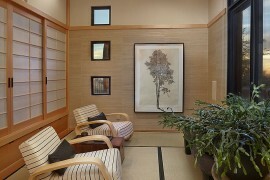 This unique addition can become the focal point of your new sunroom and turn it into a cozy family room during the Holiday Season. 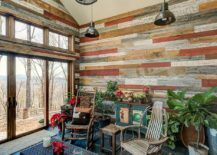 Rustic sunrooms need not be all about textural beauty, and those who seek a bit of vivaciousness can turn to color to give their sunroom a more vibrant look. 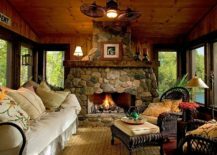 This approach to sunroom design works best in regions of the world where bright days are a rarity and it is generally damp evenings and dull mornings that greet you. 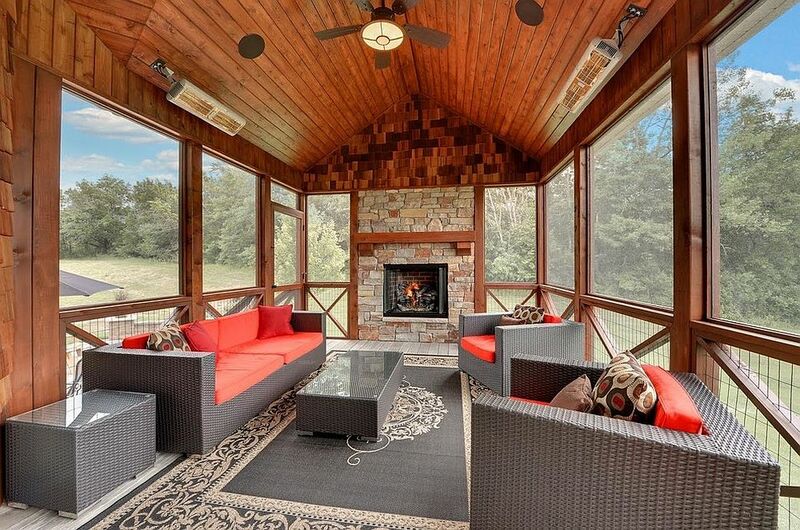 A sunroom with a dash of color can increase the brightness of the living room, kitchen or dining area next to it and would surely make your days far more cheerful. 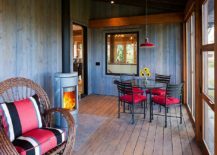 The color you choose and how you use it also depends on the living room or cozy deck next to the sunroom and the color palette in these spaces. 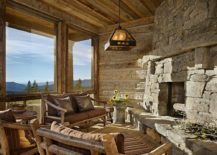 Rustic style usually involves warm, earthy colors, organic textures, unpolished finishes and a common design thread that takes you back to simpler times. 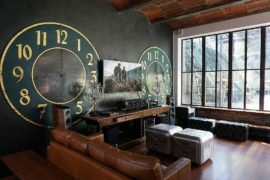 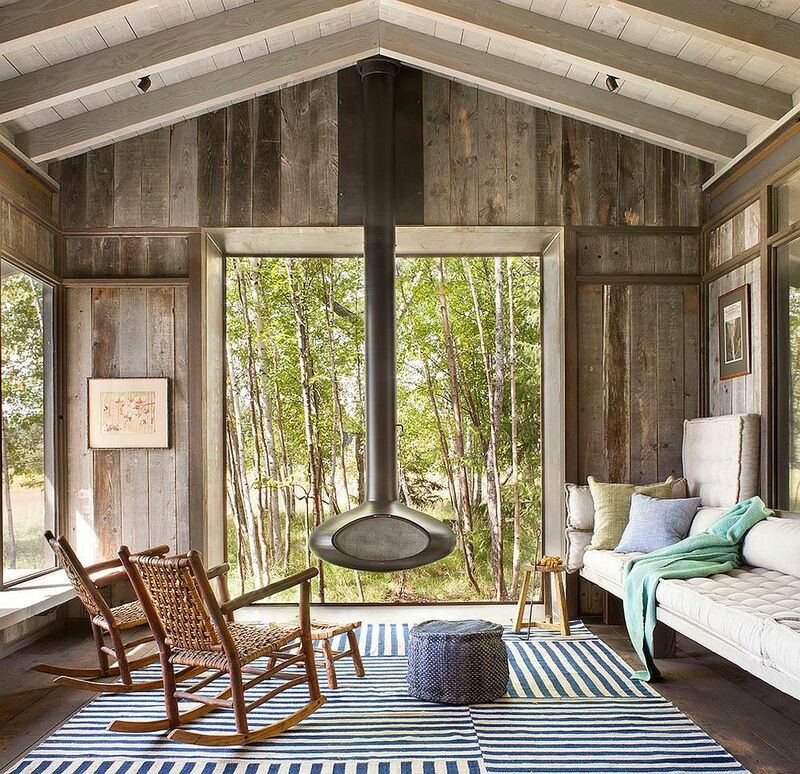 But what you really love might be just a hint of rustic goodness coupled with modern aesthetics, a combination that is becoming increasingly popular in homes across the planet. 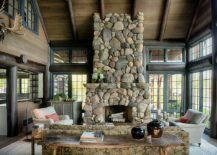 This can be achieved in the sunroom by keeping the backdrop essentially modern and neutral and adding décor and accessories that bring in the rustic flavor. 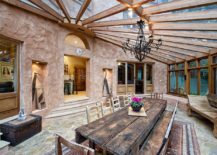 Instead of rough-hewn beams, stone walls and timber-covered finishes, you have a blend of stone, brick, concrete and wood that offers a more refined background. 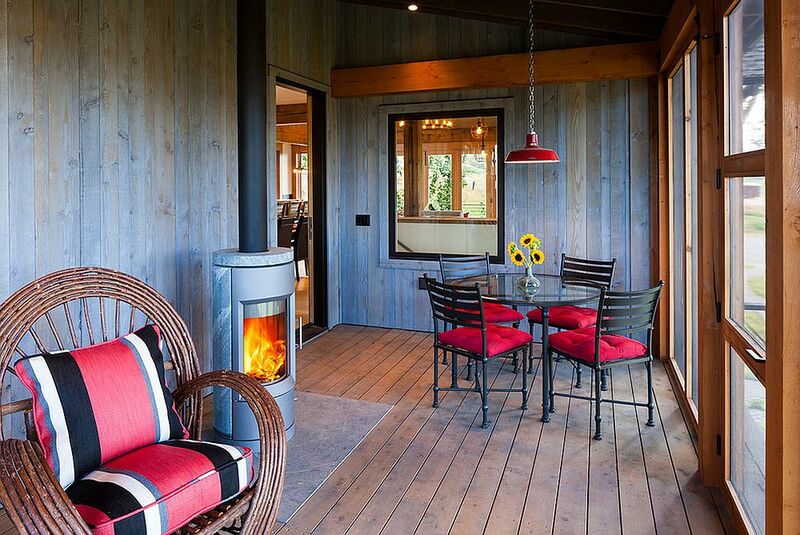 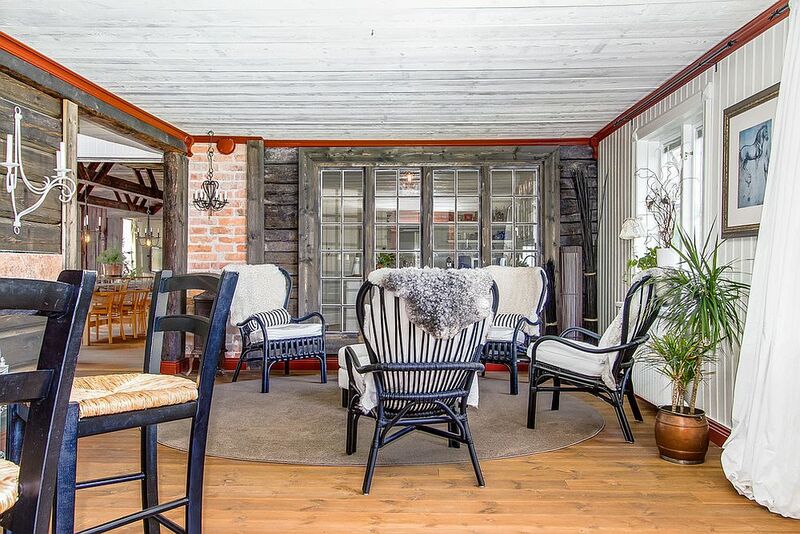 It is amazing to see how some homeowners have even combined the simplicity of Scandinavian design with rustic warmth in their sunrooms. 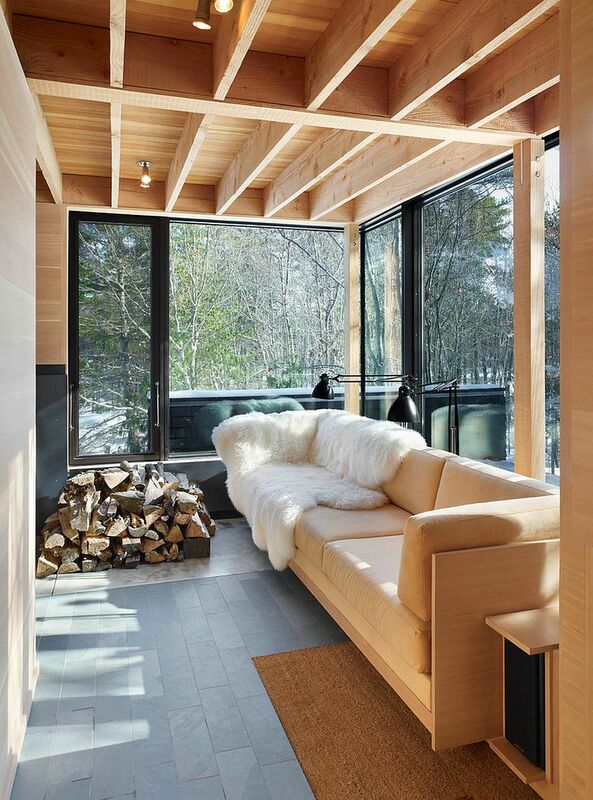 While these two styles feel inherently incompatible, the result is truly a captivating sunroom that draws you in with its Nordic magnetism and natural vibe. 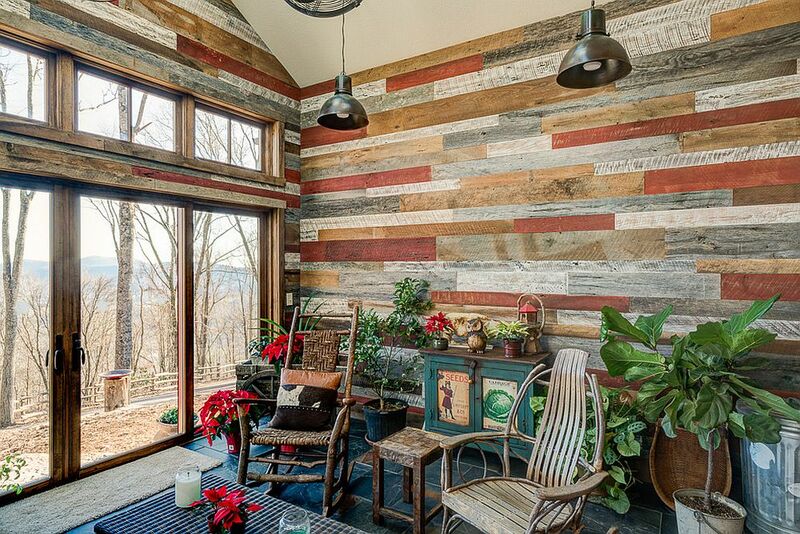 If you want to create a style of your own, but with rustic overtones, do not hesitate to give it a shot! 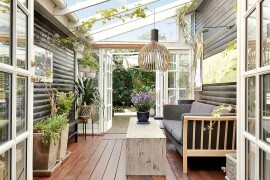 A conservatory is generally a large, all-glass structure that stands separate from the main home and is conducive for growing plants, as it creates a warm, controlled atmosphere indoors. 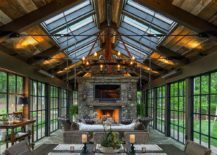 Conservatories are typically cheaper to build than traditional sunrooms, and all those glass walls and the glass ceiling bring in a flood of natural light. 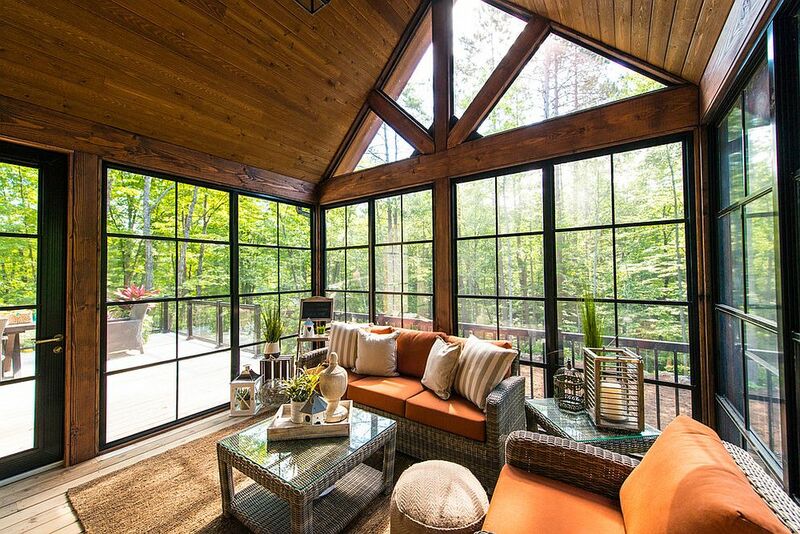 A good option for most homeowners is a hybrid that borrows from both sunroom and conservatory designs and creates a light-filled enclosure that also offers ample shade on the really hot days. 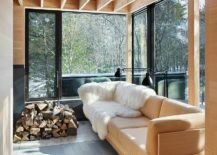 The use of modern glass panes with top-notch insulation and retractable skylights makes these spaces even more ergonomic and eco-savvy. 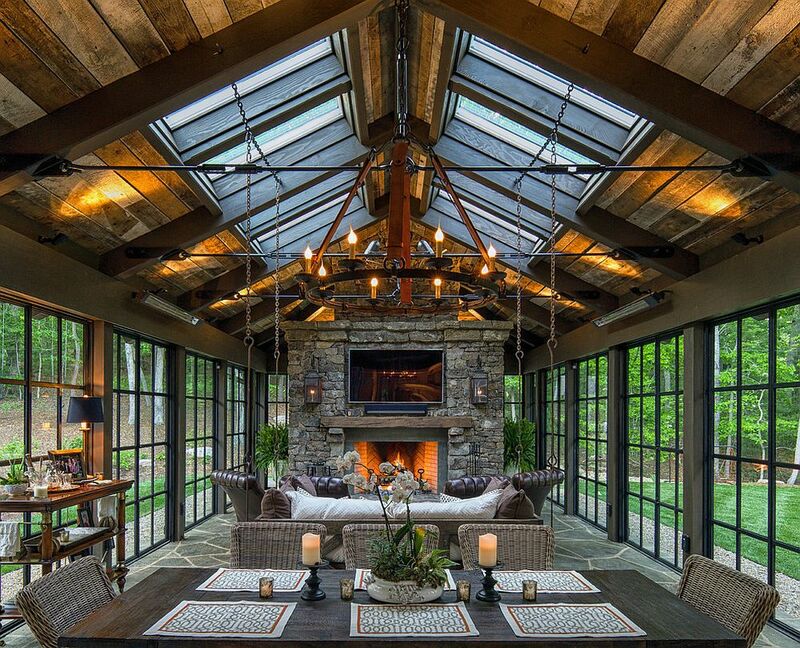 We all want a home that is unique, and this is not different in the case of sunrooms either, even if they embrace rustic style! 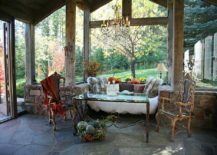 Decor can be the big difference maker here, and you can either go down the traditional path or choose to give your rustic sunroom an identity of its own. 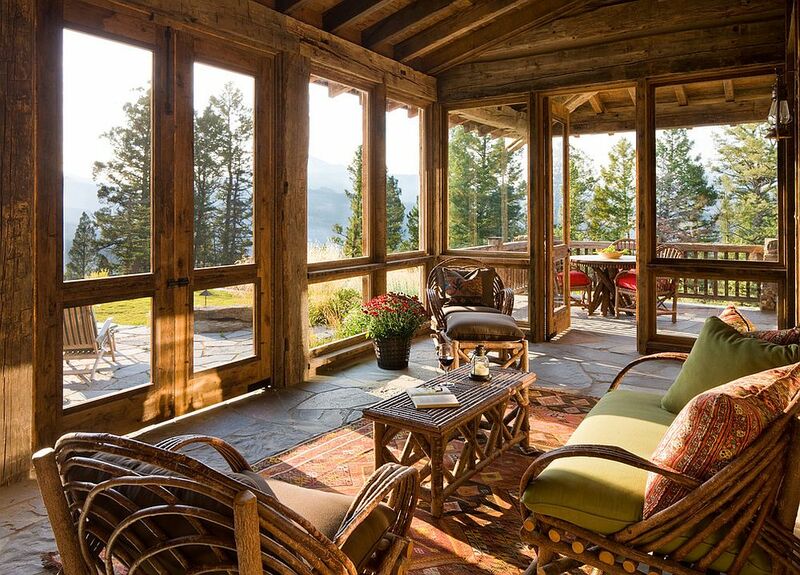 Sunroom furniture needs to withstand direct sunlight, and so it is best to opt for comfy outdoor décor that can take wear and tear. 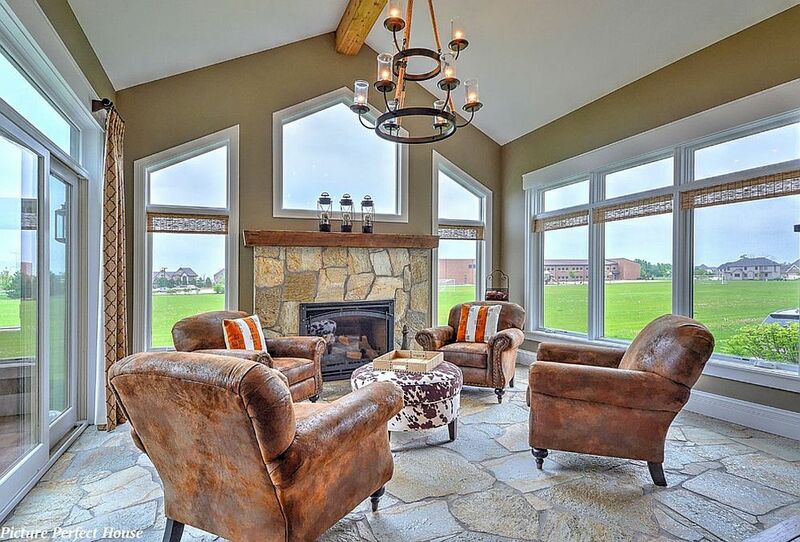 Hanging beds, comfortable daybeds, relaxing club chairs, a live-edge coffee table and a lovely lighting fixture are all you need to create an eye-catching sunroom. 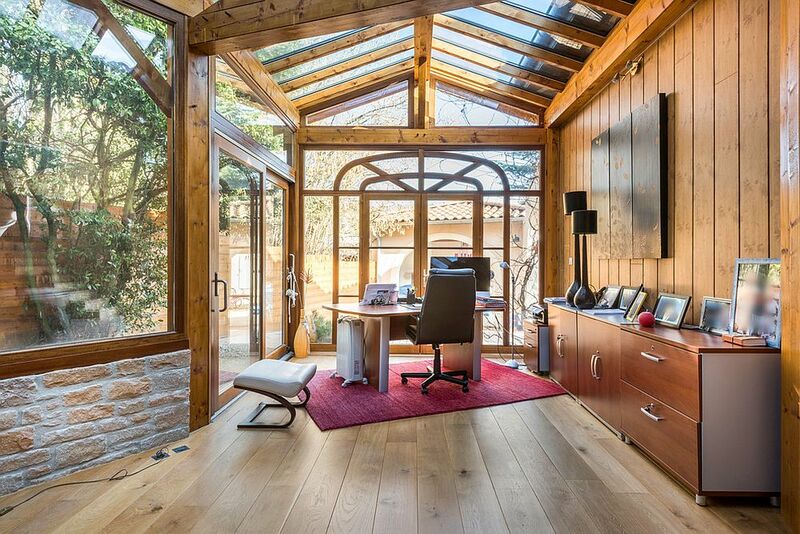 Those wanting to venture beyond the obvious can turn the sunroom into a dining space that is filled with inviting warmth and splendor or even into a quiet home office that offers ample privacy. 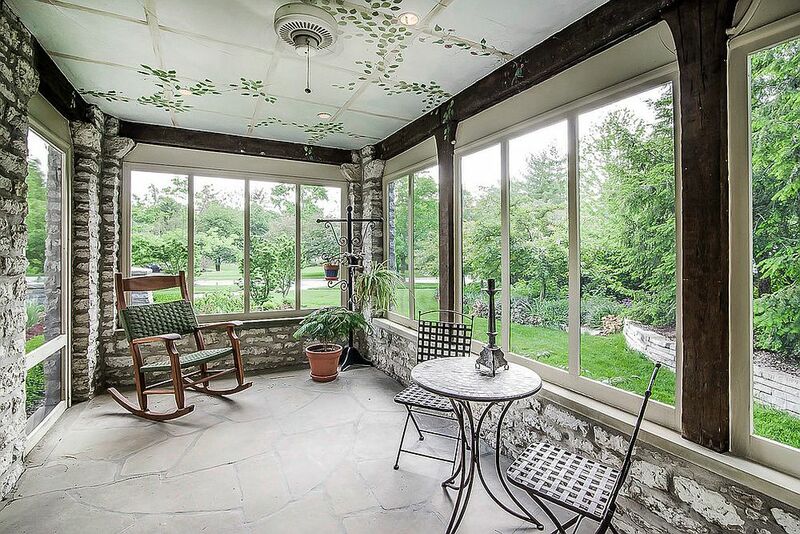 The sunroom can multitask with ease with the mere switch of décor; all you need is sufficient space and a hint of creativity.